Collagen crosslinking is an in-office procedure that stabilizes the cornea in patients with corneal conditions such as keratoconus or pellucid marginal degeneration. The procedure involves placing riboflavin (vitamin B2) drops onto the front surface of the eye and then using an ultraviolet (UV) light to activate it. The riboflavin stimulates new connections between collagen strands within the cornea, thereby strengthening the whole structure. Although it is not a cure for keratoconus, by strengthening the cornea, this procedure reduces progression, or a further bowing out of the front surface of the eye. Collagen cross-linking can flatten the cornea which increases the comfort of contact lenses and can reduce night-time glare. Depending on the initial presentation of Keratoconus or Pellucid, contact lenses may still be needed even after collagen crosslinking is done, however, contact lens wear is usually much more comfortable after the procedure and more contact lens options may be available afterwards. The cornea may even be flattened to the point where only soft contact lenses are necessary. Additionally, INTACS and PRK can often be done after crosslinking so that a person may see well without any vision correction at all. Is Collagen Cross-Linking Right For Me? If you are a patient that is suffering from keratoconus, this treatment may be appropriate for you. There are various factors that make a person a candidate for collagen cross-linking and our skilled ophthalmologists will help you determine the best treatment plan. What is the Recovery like for Collagen Cross-Linking? After receiving your procedure in our office, you may experience some slight discomfort. It is important to avoid rubbing your eyes as they are healing. The recovery period will vary by patient and your eye doctor will go over specific post-operative instructions with you at your appointment. Will My Insurance Cover the Cost of This Procedure? Some of the costs of Collagen Cross-Linking may be covered by your insurance carrier. We recommend contacting your carrier to determine if they will help pay for this treatment. Comments or Question Note: Please do not use this form for questions related to patient care. If you are a current patient and have any non-urgent questions about appointments, refills, referrals, results, or any medical advice, please call 847-755-9393 during regular office hours. Sat: 8:00 am – 1:00 pm - closed every 5th Saturday of the month. 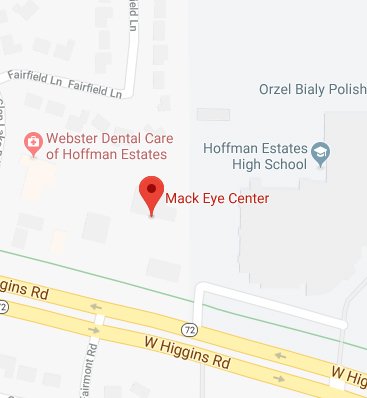 © Copyright Mack Eye Center.